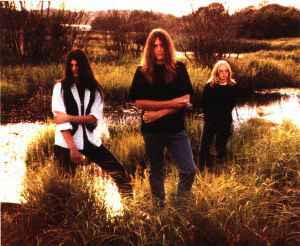 Swedish death metal band formed in 1988. They were initially called Prophet 2002 but soon changed to Nirvana. Although when they heard of the Seattle band with the same name (as they released their first 7" on Sub Pop) they added the previous suffix 2002 to avoid confusion.